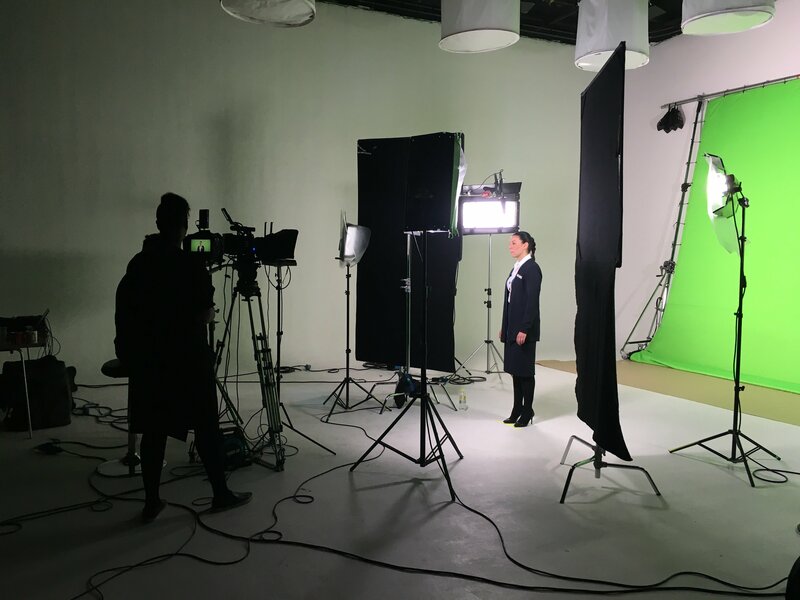 If you would like our expert help and advice then don’t hesitate to get in touch to discuss your corporate video project. Whether you choose an animation or real video shoot, you are providing information in a more beneficial way from the off. Take animation for example; you can present stats and complicated details in a more visual way. Video grabs people’s attention in a far greater way than words. Research has shown that people are 85% more likely to purchase a product after watching a corporate video. Why is online video skyrocketing? Watch to discover five factors behind video's rapid rise. 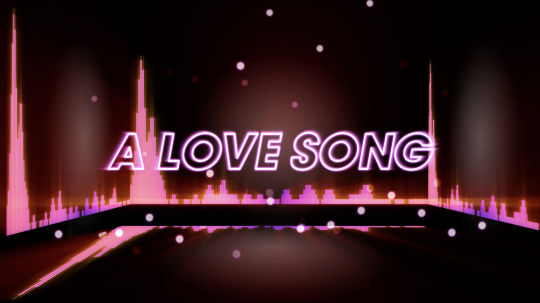 Lyric videos are animated music videos that showcase the words of a song, animated in time to the music. These can range from simple words on screen to fully animated and illustrated creations. At face value lyric videos may be a simple concept, but it’s one that’s taken off on YouTube. They have become a popular genre for music labels, due to their constant need to produce more visual content for their bands and artists. If you haven’t yet heard of the ‘lyric video’ then clearly you don’t spend much time on YouTube! Search the words ‘lyric video’ and you’ll get about 72,400,000 results (including a couple of our own in the first page results). But fast forward to 2017 and you’ll see professionally produced lyric videos, like the ones created by RMV Productions, are serious artistic contenders. They even command their own category at major international music awards. If you’ve ever wondered what happens backstage at the Capital FM Jingle Bell Ball, then here’s a unique opportunity to find out. 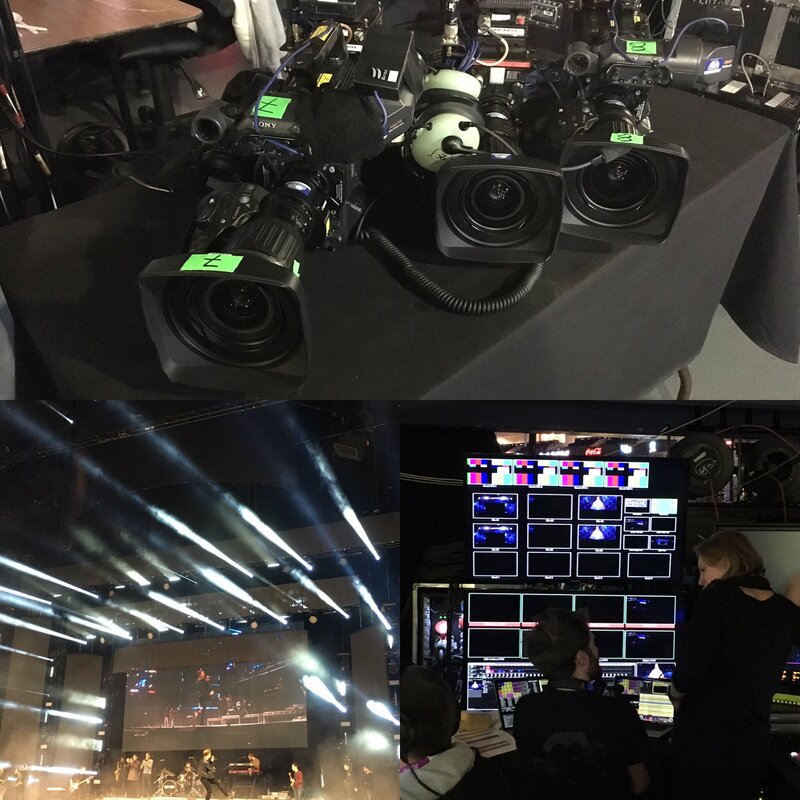 For the fifth year running, RMV Productions have helped create a range of screen content for this incredible live event, hosted at the O2 Arena in London on Saturday 3rd and Sunday 4th December 2016. We thought it would be fun to give you a behind the scenes insight into the work we do, and what better way to do this than to cover our work at one of the UKs best live music events? 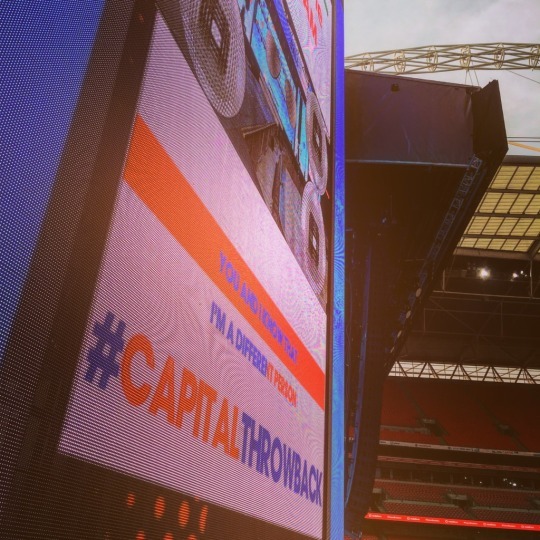 The Capital FM Jingle Bell Ball 2016 line-up was astounding with all our favourite performers like Calvin Harris, Little Mix, Sean Mendes, Craig David, Ellie Goulding, Olly Murs, Martin Garrix and Sean Paul to name-drop a few! 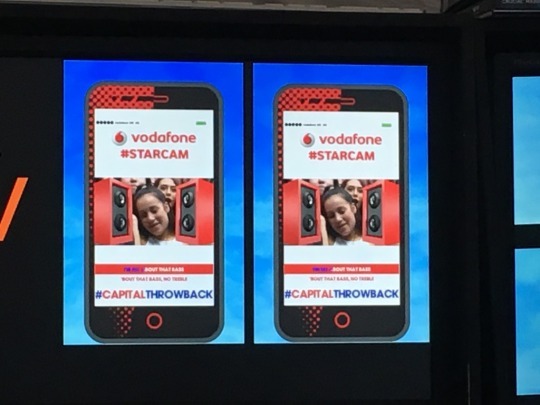 Imagine yourself at the event and looking at the stage – we create the visual content for the huge screens around the stage area. 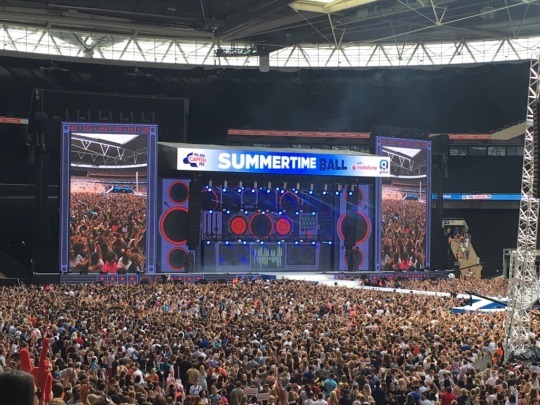 The stage is covered in 4k worth of HD pixel screens, supplied by XL Video, as well as two giant HD screens either side of the stage and the ‘arena motion’ pixel strip which wraps around the entire arena, just below the second tear of seating. So….are you sitting comfortably? Then buckle your seat belt as we’re about to launch you right in to the action! TMT Entertainment Awards 2016 – WINNER! RMV Productions have won the TMT News Entertainment Awards 2016 for ‘Best Motion Design Specialist 2016’. The TMT News Entertainment Awards 2016 highlights key players, creative individuals and innovative firms who have provided the world with new, cutting-edge techniques. It’s fabulous news for all of us at RMV Productions. We are all so pleased to hear we are winners in this very important and relevant category. The icing on the cake to round off the end of a spectacular 2016! Experience our incredible animation and motion graphics and feel inspired for your next project or business in 2017 – take a look! 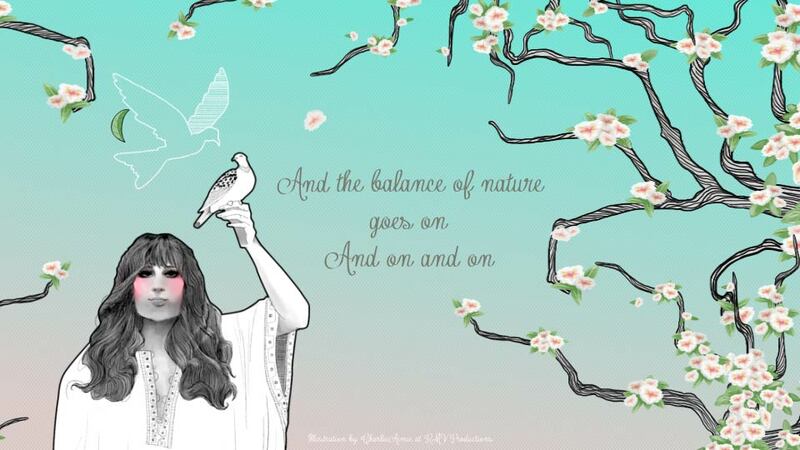 Warner Music asked us if we could create an illustrated lyric video to promote the release of the track ‘Balance of Nature’. 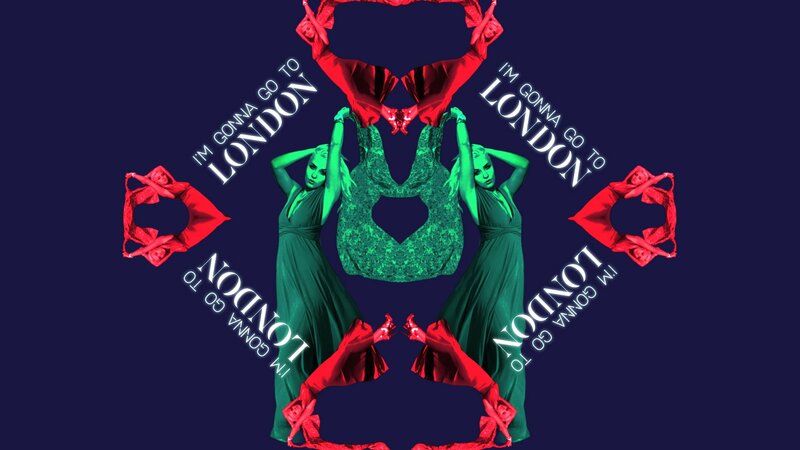 I think everyone loves the song ‘Close to You’ by Bert Bacharach, most famously sung by ‘The Carpenters’ and recently covered by Rumer on her new album; ‘This Girls In Love’, and this song has a very similar feel and tone. 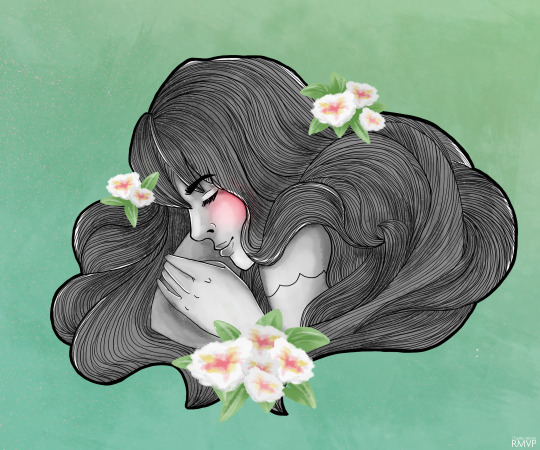 Lyric video’s are something we do often at RMVP but we don’t always get to really unleash our creativity; drawing illustrations and designs, as often the artwork is provided, so I was raring to go on this project! 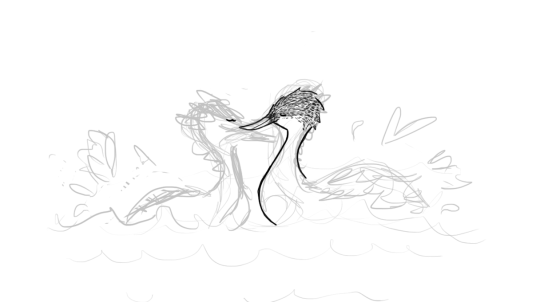 It was nice to have time to begin with sketching and working out a theme that would flow through the whole animation. I started by sketching the animals that would fit with the verses, taking inspiration from Rumers instagram page. It’s easy to see she has a real personal love for nature, (and especially dogs!) and we wanted to keep that feeling with the illustrations by using smooth movement for the animation, so it wouldn’t be anything too jarring or “in your face”. 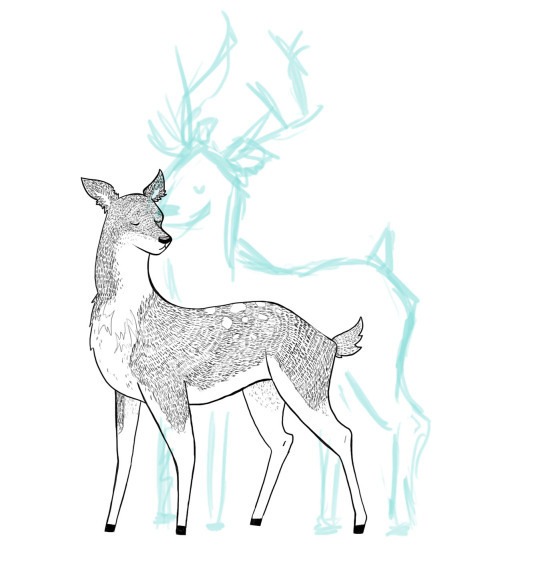 I went through a few different renditions of animals in love, narrowing it down to the birds and deer. One of my favourite artists is Alphonse Mucha, alongside other art adventures he designed posters showing off the leading ladies at theatres of his day. I particularly like the bold outline he gives some of his leading ladies, such as the painting ‘Job’ and I wanted to use this style to show off Rumer herself. I had a fun time including her in the animation, with her interacting with the birds to help her fit her into the scene. You can check out some of my artwork on my instagram and follow RMVP’s instagram to see all the many different projects we’re working on. But we don’t just do lyric video… RMV Productions provide a wide range of creative media services including animation, motion graphics, video production, filming gigs & live events, screen content and visuals for live events, corporate, web and marketing video… and anything else you can commission us with to provide that next creative challenge! Get in touch to discuss your next media project. Follow us on TWITTER and like us on FACEBOOK to keep up to date with what we’re up to. We created a series of track visuals for Ladyhawke’s new album which are going out this week across her social media channels. Check back every day for more visuals and insight from Ladyhawke on the inspiration for each track. We pitched for this job on Creative Commission. After winning the pitch we discussed some ideas with IE Music and set about creating some concept animations. These started life as a very different visual; more of a room made of audio waveforms with neon blobs dancing in time to the music. But after discussing this initial concept with Ladyhawke we decided to go for something less clean and more trippy, which is in keeping with the album. So we came up with the hypnotic kaleidoscope animation which moves in time to the music. Once this look was signed off a different animation was created for each track.Each visual has a different look and feel inspired by the music and lyrics for that song. 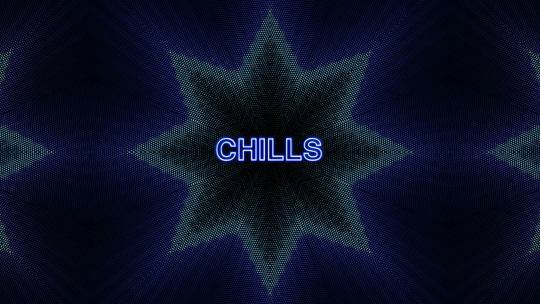 For ‘Chills’ we went for an ice cold look and gave the kaleidoscope a crystal-like patern which at times feels like a snow flake. 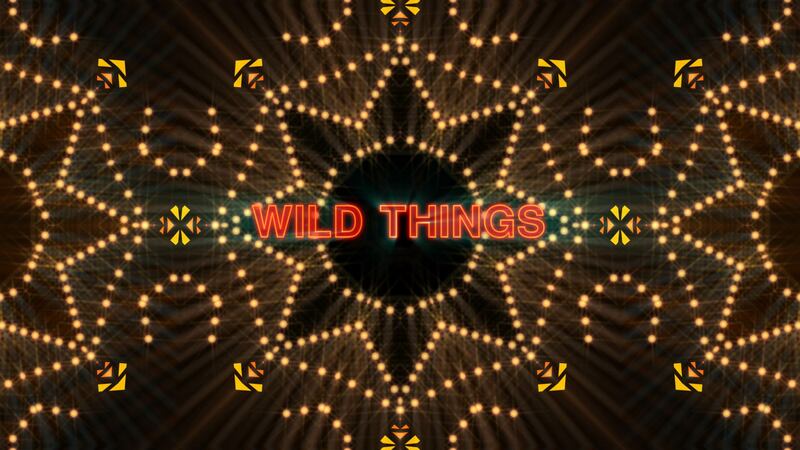 ‘Wild Things’ had to be warm and vibrant! It has an Indian vibe inspired by the abstract patterns in Indian textiles and festival prints. 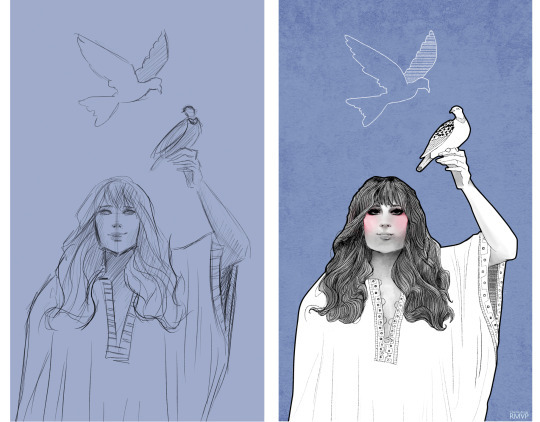 In total we created 11 visuals for each track on Ladyhawke’s new album ‘Wild Things’. These were shared each day across her social media. Don’t forget to subscribe to follow us on twitter and instagram, and like our Facebook page.